Socratic Arts' Cyber Security program will be offered through the University of Texas Austin's Extended Campus. KXAN in Austin ran a news story on the program, which can be seen on their website. Our Senior VP of Design, Dr. Tammy Berman, and Holly Christensen, COO and Senior Designer, recently presented We're Going Mobile (Ok, but how?) at the eLearning Guild's devLearn 2018 conference. The presentation discussed learning design and development considerations and tradeoffs that need to be made when developing learning programs for a mobile device, from the technical, user experience, and most of all, pedagogical standpoint. The lessons we shared were based on one of our recent engagements with a F500 client, who sought a course to teach advanced client communications skills for executives. The client wished to use our award winning Observe & Critique instructional approach and technology which we developed for Delivering Serious News, a program that was designed for desktop and which had been very well received by doctors and other medical professionals. When we tested the course design on mobile device, while it may have been technically mobile-friendly, the content and required interactions would have resulted in a bad user experience. We went back to the drawing board and used a mobile-first design approach, testing and iterating until we had a course design and end-product that works well on mobile devices and is appealing to users. If your company needs help with Going Mobile or is interested in other ways to make your learning more effective; whether it's mobile, desktop, hybrid, or in person; our experienced team of instructional designers are delighted to help. August 2018 - Students in Spokane Washington have just completed a learn-by-doing course in cybersecurity, developed and delivered by Socratic Arts. During the six-week intensive course, Cyber Defender 1: Network Traffic and Log Analysis, they learned and practiced the skills required of security operations center analysts, including analysis of network traffic and of system and network logs. The course is a Story-Centered Curriculum in which the students' work is set in the context of a sophisticated cyber attack on a defense contractor. Eleven students began the course, and nine successfully completed it. The students were a mix of working IT professionals from the City of Spokane and Avista Utilities, as well as advanced students from Spokane Falls Community College, all of whom seek to transition into cybersecurity jobs. Students reported being sorry when the course ended. In a few weeks, they will go on to a second course, Cyber Defender 2: Digital Forensics and Incident Response, in which they will learn and practice the skills of malware analysis, memory and disk forensics, and incident response. "I haven't seen anything out there that excites me like this does." "I like how the class was created around an investigation of cyber security crime. It was cool to learn as if I was solving a real cyber crime." Individuals interested in learning cyber security can enroll through The Schank Academy. Organizations that would like to improve their people's cyber security skills can Contact Us to discuss the opportunities our effective, learn-by-doing programs provide. Socratic Arts, Inc. is pleased to announce our newest partnership to offer a Cyber Security Certificate Program through The Center for Innovation Education at Rutgers University (RIE). Socratic Arts initially developed the curriculum for this intensive online course for the Department of Defense to train government personnel. Public access to this course began recently through Socratic Arts' sister company, Schank Academy, and is now offered in conjunction with RIE. The next cohort of students through RIE begins November 27th, 2017. Using our proven Story-Centered Curricula methodology, and a "learn-by-doing" approach, this challenging program is a comprehensive 24-week learning experience, and demands a weekly commitment of 30 hours a week from its students. Throughout the course students are immersed into a professional role within the context of a story, and perform authentic tasks to produce professional-level work. Industry professionals will guide students as mentors while they focus on developing foundational technical skills. Beyond technical skills, the program will also emphasize training students to understand and decipher the psychological, sociological, and ethnographic characteristics of their adversaries. Graduates of the Cyber Security Certificate program will gain practical, job-ready skills and workplace transferable knowledge. Upon course completion, students will leave with a professional Cyber Operations and Information Security Portfolio exhibiting the offensive and defensive skills they have used to mitigate real-world security threats. For more information on the Cyber Security Certificate Program offered through REI, visit this Rutgers' program page. For more information on curriculum and a course demo, please visit Schank Academy. Socratic Arts CEO, Roger Schank, Ph.D., announces the launch of his new organization, Schank Academy. Built in an effort to offset the rising costs of tuition and the increasing skills gap, Schank Academy supplies students with the opportunity to gain applicable career skills to adequately compete in the modern workplace. Schank Academy programs are built upon 25 years of learning design experience using proven Story-Centered Curricula methodology, and a "learn-by-doing" approach to every course. Each course centers on an engaging story, that are closely analogous to situations students would experience in their real-world work setting. The program supplies students, often working in small groups, with intricate simulations including detailed information about their employer, authentic on-the-job projects, and supporting materials and resources. Throughout the course, expert mentors are available to answer questions and guide students through these intricate hands-on projects. Available programs include Data Analytics & Big Data, Cybersecurity, and Software Development. Schank Academy will roll out a more comprehensive course offering in upcoming months. For more information please contact Schank Academy. Learners Play the Leading Role in an Innovative Turn-Taking Simulation that Teaches Key Coaching Skills to Managers at a Fortune 100 Company. When a global management consulting firm introduced an important new coaching paradigm for managers, they turned to Socratic Arts to create a cutting-edge learn-by-doing online course that puts learners in the virtual driver's seat. The course uses the innovative and award-winning Observe & Critique™ technology for managers to examine and critique fictional video scenarios with realistic coaching opportunities. Socratic Arts also unleashes the ground-breaking turn-taking technology, which takes the simulation a step further: Participants play the coach in 1-1 dialogues, steering the conversations every step of the way. Just like in real-life, success doesn't happen in a moment, but rather from the many choices and balance of considerations individuals make over time. Ongoing feedback from field experts, nonfictional interviews and scene-specific learning resources help learners understand and apply curricular aspects where they are relevant and helpful. Learners also create active coaching plans, connecting the innovative pedagogy to their own performance goals. Socratic Arts is pleased to announce that it has been awarded a contract from the US Department of Defense to improve DoD's capability and capacity to train cyber operators. 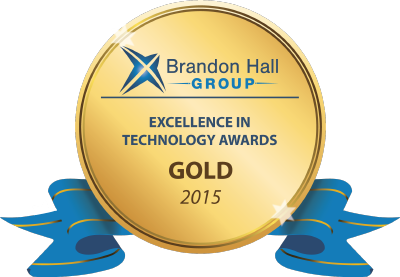 Socratic Arts, a leader in performance improvement solutions, won a coveted Brandon Hall Group Gold Award for Excellence in the Best Advance in Unique Learning Technology category for its innovative take on Observe & Critique™. 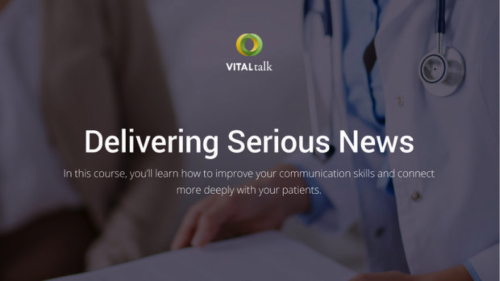 Socratic Arts partnered with VitalTalk to create Delivering Serious News, a course that helps medical clinicians improve their communications of serious news and related issues. Socratic Arts' Observe & Critique was one component of the course. Newt Gingrich has a mission: help newly elected state legislators get more effective, more quickly. Socratic Arts was delighted to help make it happen. 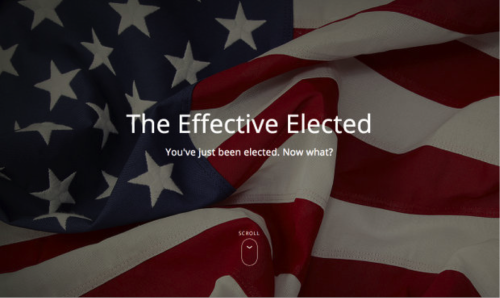 The result: The Effective Elected, a flexible workshop that can be delivered in person or online, with a facilitator-led group (led by a seasoned legislator), or it can be done independently. Participants develop detailed plans for their first term and beyond, aided by video-based advice from seasoned notables, such as Former House Speaker Newt Gingrich, Florida Congressman Daniel Webster, Iowa State Representative and House Majority Leader Linda Upmeyer, Texas State Representative Phil King, Wisconsin State Senator Leah Vukmir, and other highly experienced political advisors. Socratic Arts' Dynamic Scene Adapter Enhances the Simulation Experience for A Fortune 500 Company - Making It Fun, Realistic, and Memorable! Socratic Arts is delighted and proud of the successful delivery of a new program for a Fortune 500 company. The program aimed to help participants develop strong leadership and communication skills through a four day, in-person learning experience that included workshops, electives, and a simulation using the Dynamic Scene Adapter (DSA). The Dynamic Scene Adapter (DSA) is a simulation engine that supports in-person and/or virtual, simulation-based training programs. It provides a customized experience for learners in which their decisions and actions are evaluated against a set of metrics (e.g., team morale, client satisfaction, etc. ), which are aligned with the performance objectives of the learning program. Depending on their metrics, learners may move on to new challenges, or they may be presented additional complications related to their prior decisions and actions. Unlike branching simulations, which face the development problem of an exponential expansion of branches, this system works on the principle of best partial matches of metrics to resulting states. Using this approach, the simulation only presents consequences that are pedagogically interesting relative to the performance objectives of the course. "The metrics are memorable. They really drive home the key concepts from the course." 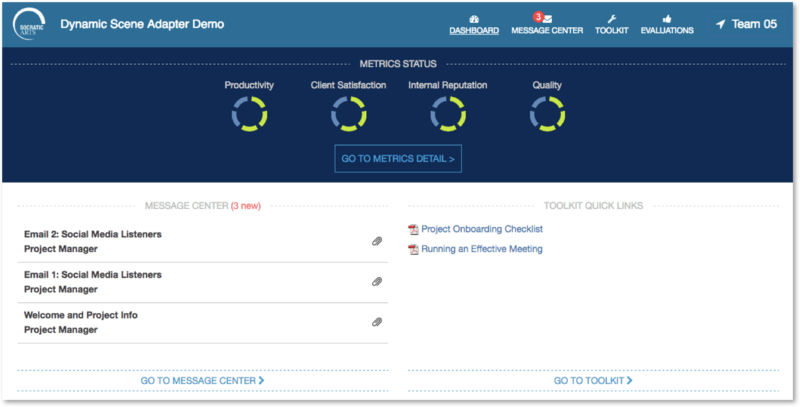 "Love the dashboard and metrics. Real-time feedback in the dashboard helps us tailor our growth." "The dashboard is very helpful as a one-stop shop to access all materials." "In my 4+ years at the firm, the program this week has been the best training I have attended to date." "Thinking long term this helps us become better leaders." "This is much more realistic and applicable to our work." "This is the first simulation content that made me care." Learn more about our Dynamic Scene Adapter. Socratic Arts rolls out a new type of online technology to teach communications to medical clinicians with great success! Socratic Arts is delighted and proud of the successful pilot release of the online learning program, Delivering Serious News, developed for VitalTalk, a non-profit organization whose mission is to help nurture healthier connections between patients and medical clinicians. This program aims to help clinicians improve their communications of serious news and related issues. Delivering Serious News features a slick new interface and high-quality, authentic video scenes of clinician-patient interactions. Participants play the role of communications coaches in a medical facility. They review video of their fictional peers' patient interactions, first using the new "Test Your Intuitions" tool to consider how they might handle the same situation, then using the new "Observe & Critique" tool to provide their fictional colleagues feedback and advice pertaining to highly nuanced moments from the video scenes. We give a huge shout out and thank you to the talented and brilliant VitalTalk experts, Anthony Back, M.D., Robert Arnold, M.D., Kelly Edwards, Ph.D., and James Tulsky, M.D., for allowing us the privilege to work with them, and for all their input and guidance throughout the project. "Clinicians miss the mark: We need this training everywhere." "Much better than typical online training. The video quality was high and the chance for personal feedback that's actionable makes it unusually good. So much better than a grade or a score." Will recommend it to the whole palliative care team." Among top three professional learning experiences of [my] career." Excited! Predict more will be retained with this method." Much better than a grade or score. Big improvement over compliance and other online training. Socratic Arts is pleased to announce the launch of our GBS Tool, which allows universities, companies, and organizations to develop courses that, unlike other online courses, offer students an immersive, meaningful experience that gives them job-ready skills. When Carnegie Mellon University established a Silicon Valley Campus in 2002 it wanted a cutting edge curriculum that would enable students to acquire and practice the essential skills and knowledge that they would use upon graduation in the real world. They turned to Socratic Arts to design and develop six Master's degree programs using the Story-Centered Curriculum approach. Each program consists entirely of projects—students work in teams, one project at a time, mentored by experts. How do you teach senior consulting executives at F100 Financial Services firm to become more sensitive to risks that can arise at various stages of an engagement, to mitigate such risks, and to manage consequences that may arise from their decisions? This was the question that we answered with one of our most innovative classroom design programs. A large software company had promoted many first-tier managers from the technical ranks. The new managers had little management experience and lacked a clear idea of how to add value as a manager. Most importantly, the managers were failing to align their goals, priorities, and operating plans with corporate strategy.